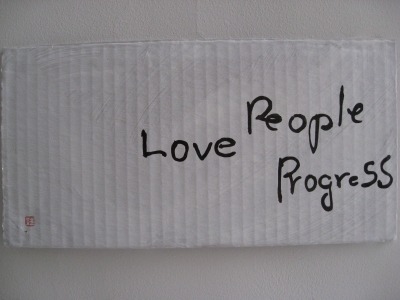 These are Mr.Brad Nield's favorite words ; Love , People and Progress. He said that love is strongest positive feeling for self and others. He is a teacher and American.